Below you can view all the homes for sale in the Eagle Watch subdivision located in Woodstock Georgia. Listings in Eagle Watch are updated daily from data we receive from the Atlanta multiple listing service. To learn more about any of these homes or to receive custom notifications when a new property is listed for sale in Eagle Watch, give us a call at 404-998-4112. New Roof, Water Heater, Poly-B Pipes Replaced, Newer Hvacs. Close To Shopping, Dining & Schools. MLS#8567412. Red Barn Real Estate Llc. New Roof, Water Heater, Poly-B Pipes Replaced, Newer Hvacs. Close To Shopping, Dining & Schools. MLS#6538542. Red Barn Real Estate,Llc..
Come And See For Yourself! Owner/Agent. MLS#6537875. Atlanta Communities. Enjoy The Amenities In This Arvida Golf, Swim/Tennis Community! MLS#6534612. Berkshire Hathaway Homeservices Georgia Properties. New Custom Iron Front Door, New Oversized Deck W/Wrought Iron Spindles, Large Lot, Paved Walk From Driveway To Basement Entry. MLS#6532673. Berkshire Hathaway Homeservices Georgia Properties. All Offers Will Be Received Until Sunday 6 P.M. 04/11/2019 MLS#6532108. Berkshire Hathaway Homeservices Georgia Properties. 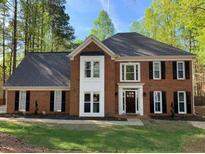 Walking Distance To Lake Allatoona!! Great Find In Neighborhood! MLS#6527023. Phox Realty Group, Llc..
Impeccable Golf Course View Down Fairway.Doesnt Get Any Better Than This.Large Floor Plan W/Spacious Family Room W/Floor To Ceiling Bay Windows Overlooking Golf,Gorgeous Built Ins,All New Interior Paint,Updated Kitchen With Granite Counters,Marble Backsplash,New Stainless Double Ovens.Vaulted Ceiling Dining Area Off The Kitchen W/Panoramic Views Of Golf Course.Gigantic Master Suite W/Fireside Sitting Room,Views Of Golf,Large Master Bathroom,Jetted Tub,Tons Of Storage & Tiled Floors.Upper Bedrooms Have Access To Bathroom.Finished Basement with Fireplace & Wetbar.Staged By Listing Agent. MLS#6528039. Atlanta Communities. Views From All Three Levels!Shows Like New.Vaulted & Open.Hardwoods On The Main Two Levels.Upgraded Kitchen, Stainless Appliances, Granite Counters.All Baths Have Solid Surfaces & Tile Floors.Large Closets Throughout.Lower Level Has Large Family/Media Room.2 Large Bedrooms W/T Jack & Jill Bath.Kitchenette With Full Sized Sink And Cabinets.Could Be Used As In-Law Suite.Unfinished Room For Workshop ,Storage ,Or Hobby Area. MLS#6524728. Exp Realty, Llc.. Better Act Quick If You Want This One. MLS#6524290. Keller Williams Rlty, First Atlanta. Terrace Level Would Make A Great In-Law Suite/Au Pair With Full Kitcehn, Living Room, Full Bath And 2 Bedrooms And Opens To Second Large Deck. MLS#6523718. Berkshire Hathaway Homeservices Georgia Properties. Spacious Upstairs Bedrooms For Children Or Guests. MLS#6521572. Mark Spain Real Estate. Excellent Schools And Walking Distance From Shopping. Beautiful Wooded Back Yard. MLS#6520162. Mark Spain Real Estate. Perfect Home For Couples, Empty Nesters, Or Anyone Looking For One Level Living. Priced To Sell At $299,900. MLS#6519590. Keller Williams Realty Atl North. Hot Tub Off Master On Deck .Grand Sized Secondary Bedrooms.Media Room In Finished Basement.Newer Roof,Gutters,Hvac'S! MLS#6518506. Berkshire Hathaway Homeservices Georgia Properties. Enjoy Golfcourse Living.Gorgeous Home Situated On Quiet Culdesac & 3rd Hole.Completely Refinished Hardwood Floors On Main Level,All New Int&Exterior Paint.Spacious Dining & Office.Open Floorplan,Newly Refinished Kitchen W/Tons Of Cabinetry,Stainless Appliances,Granite Counters, Breakfast Bar,Built In Desk.Relax & Unwind On Large Screen Porch Overlooking Golf Course.4 Spacious Bedrooms W/Double Master Setup.Spacious Laundry Room Upstairs.French Door Entry Into Master Bedroom W/Trey Ceilings&Private Deck Overlooking Golf.Updated Master Bath.Large Unfinished Basement Stubbed For Bath. MLS#6515378. Atlanta Communities. Back Deck Overlooks The Huge Backyard & View To Golf Course. MLS#6514371. Keller Williams Realty Partners. Relax On Your Private Deck Overlooking The Serene Creek And Enjoy All Eagle Watch Has To Offer. Don'T Miss This One! MLS#6512562. Allatoona Real Corporation. Finished Basement Features A Bonus Room, Bedroom And Full Bath. MLS#6503123. Keller Williams Realty Atl North. This Home Is A Must See, Will Not Last Long. MLS#6119840. Berkshire Hathaway Homeservices Georgia Properties. All Near Schools, Shopping, Dining And Entertainment MLS#6115925. Berkshire Hathaway Homeservices Georgia Properties. Home Comes With A 30-Day Buyback Guarantee. Terms And Conditions Apply. MLS#6105384. Opendoor Brokerage, Llc. Basement Can Be Full In Law Suite! New Basement Carpet Just Installed! MLS#6103414. Atlanta Communities. Just A Short Walk Through The Woods To Lake Allatoona! MLS#6071093. Berkshire Hathaway Homeservices Georgia Properties. Work Room And Additional Storage Basement. MLS#5653224. Atlanta Communities.